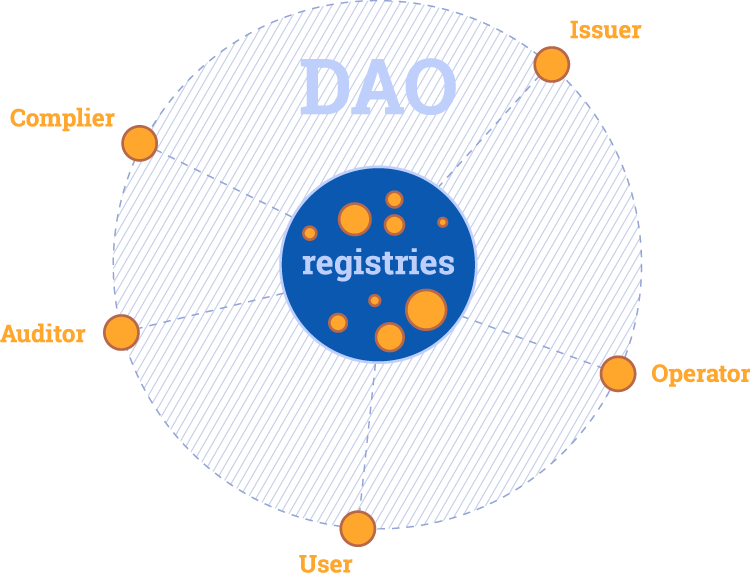 DAO "Integral Platform for Climate Initiatives"
Solves the issues of fraud, double counting of assets. Unlimited options for linkage, interoperability and program integration, fungibility of instruments at discretion of numerous market stakeholders with negligible transaction costs. DAO IPCI provides for the users to allocate and manage environmental assets and liabilities through distributed ledgers stored in Blockchain. The technology ensures transparency and reliability of transactions, possibility of global interactions with carbon market institutions, including carbon registries in the first place. Approval of the Accredited Auditors List. All operations are transparent, safe and performed by means of smart-contracts. Practically any and all products, goods and services carry GHG emissions footprint. Placing DAO IPCI API to your website you may provide your Clients with buying carbon credits to offset footprint “one click option”. Our API is free, and you may download the code at GitHub or contact our specialist.